1877 marked the opening season of the Victorian Football Association (VFA) and that same year the first exhibition matches of note were played: Carlton taking on the Waratah club in Sydney; Melbourne travelling to Adelaide to play a combined SAFA line-up; and St Kilda following suit at season's end with further exhibition matches in Adelaide. Numerous tours took place over the next twenty years with VFA clubs playing matches throughout regional areas as well as interstate. Most were played on end of season trips, with a handful being played during the season on representative weekends or when a club had a bye week in the fixture. However, by the end of the 1980s exhibition matches had become a rarity for VFA-VFL clubs. NOTE - the following section focuses on the teams that remained part of the VFA after the split of 1896. Non-premiership matches between VFA teams and the clubs that broke away to form the VFL-AFL can be found here. 1886 Williamstown vs New South Wales - played as part of NSW's tour of Victoria which included matches against Victoria (VFA), Sandhurst FA and Geelong. 1888 Port Melbourne vs Great Britain - this was part of a lengthy tour of Australia and New Zealand by a representative rugby team (the first version of what is known today as the British Lions). During their time in Victoria and South Australia the rugby team played a number of Australian football matches under "Victorian Rules", including matches against top-level clubs Carlton, Essendon, Fitzroy, Port Melbourne, South Melbourne, Adelaide, Norwood, Port Adelaide and South Adelaide. 1889 Port Melbourne Tour of NSW - Port joined other prominent clubs such as Carlton, Essendon, Fitzroy and Melbourne in travelling interstate for a series of tour matches. The Northumberland and Waratah clubs were two of the strongest clubs at the time in the Newcastle and Sydney regions respectively. 1894 Essendon vs VFA - an end of season match between the VFA Premiers and the rest of the Association played to raise funds for various charities. Essendon's gun forward Thurgood was one of numerous late withdrawals from both line-ups. Players for the combined VFA team wore their various club uniforms rather than a representative jumper causing confusion both on-field and for the spectators. 1897 Port Melbourne vs Essendon - a challenge between the newly-crowned VFA and VFL premiers. Essendon wanted 20 players per side, Port Melbourne wanted 18 per side. With neither team willing to compromise the match was cancelled. 1899 Footscray vs Ballarat Imperial - played the week after Footscray won the VFA premiership. 1900 Footscray vs VFA - a fundraiser for the family of the late Frank Mitchell, played between the VFA premiers and the rest of the Association. Mitchell was a long-serving secretary of North Melbourne FC and life member of the VFA who had helped keep the Association going when the strongest clubs broke away to form the VFL and he had been "principally responsible for Brunswick, West Melbourne and Prahran joining the ranks". [(Footscray) Independent 25-8-1900, p.3] Robertson (Brunswick), McKinley (Williamstown) and Brown (Prahran) played for Footscray who were without four of their premiership team. 1901 Footscray vs Victorian Junior FA - the VJFA were the leading second grade league in Victoria and for a number of years their representative team had played an annual pre-season match against the reigning VFA premiers. 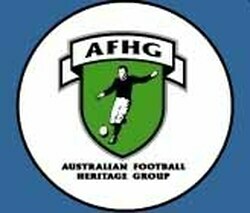 This tradition continued after the split of 1896 but the match took place against the VFL premiers instead. However, from 1901 the VJFA began playing two pre-season games: one against the VFA's champion and the other against the VFL's premier team. 1901 North Melbourne vs Bendigo FA - played during North's bye week in aid of "Bulla" McDonald (a seriously injured Sandhurst player). 1903 Richmond vs Collingwood - the first match to be played between reigning VFA and VFL premiers. 1903 Port Melbourne vs Bendigo - the Bendigo FC side was strengthened by the addition of two fill-in players. 1904 Richmond vs Marylebone Junior FC - Richmond (minor premiers) had a week off in the VFA whilst waiting for their opponent in the challenge final to be decided, so they travelled to Geelong to play the top junior club in the region. Marylebone was boosted by the addition of Bennion and E. Rankin from Geelong FC. 1906 Richmond vs South Adelaide - played on the King's Birthday holiday. Despite the VFL playing a full round that day the VFA clubs had the day off so South Adelaide made a special trip to Victoria for the match. 1915 North Melbourne vs St Kilda - the 1915 VFA season had originally been scheduled to end on September 11th but the Association decided to end the season early due to the First World War. Thus, North Melbourne's Grand Final victory on August 7th was followed by this match against St Kilda during that club's bye week in the VFL. The match was played to raise money for Lady Stanley's Fund for Wounded Soldiers and was attended by an enthusiastic crowd of 10,000 fans, eager to see the first contest of any sort between VFA and VFL teams since 1908. St Kilda were unimpressed to learn that North Melbourne had bolstered their side with three strong players from other VFA clubs (Hoare from Essendon 'A', Alley from Williamstown, and Walton from Port Melbourne). This ill-feeling spilled onto the field and a spiteful match ensued, with numerous fights breaking out throughout the contest. 1916 North Melbourne vs VFA - due to the First World War the VFA ended their 1915 season early and went into recess during 1916-17. However, the players re-united for this one-off match: a fundraiser for former South Melbourne and North Melbourne player Harry Todd who had lost his hands in a workplace accident. North Melbourne fielded their 1915 premiership team and players on both sides were reported to be out of form having had no football for a year. The following week a fundraiser was also played between retired North Melbourne and South Melbourne champions with South winning 4.4 (28) to 1.0 (6). 1924 Footscray vs Essendon - as with the 1902 VFA vs VFL representative match and the 1915 North Melbourne vs St Kilda contest, it was charity that again brought the rival football bodies together on the same playing field. The 1924 match was played in aid of Dame Nellie Melba's Limbless Soldiers Appeal and was promoted as being for the "Championship of Victoria", although no such title actually existed. [The Argus 3-10-1924] This was the third contest between reigning VFA and VFL premiership teams, and the first to carry any sort of status. A crowd of 46,100 - an unprecedented attendance for an exhibition match - witnessed a major upset as Footscray overcame a 2 point deficit at half-time to claim a famous 28 point win. During the months that followed Footscray joined North Melbourne and Hawthorn in transferring from the VFA to the VFL. 1929 Oakleigh vs Preston - originally scheduled as Northcote versus Oakleigh but Northcote were involved in the VFA Challenge Final played the same day. 1929 Brunswick vs Alberton Shire XVIII - Leo McInerney kicked 10 goals for Brunswick. 1931 Preston vs South Warrnambool - former St Kilda champion, Col Watson led the South Warrnambool team. 1935 Yarraville vs Camberwell - an unofficial replay of their grand final played two weeks earlier. Ironically, the winning margin was the same as the premiership decider. 1938 Camberwell vs SAAFA - played on Camberwell's end of season trip and Laurie Nash kicked 9 goals. The match included trial rules such as the throw pass. It was originally hoped to play a combined SANFL side but that was not possible so the South Australian amateur association agreed to take the field. 1939 Coburg vs North-Western FA - played under VFA rules (including the throw pass). Lance Collins kicked 11 goals for Coburg. 1941 Coburg vs Combined Wangaratta - first half played under standard ANFC rules, second half under VFA rules. Bob Pratt kicked 21 goals for Coburg. 1944 Northcote 2nds vs Aboriginal XVIII - played on the King's Birthday holiday. The Aboriginal team was led by former Fitzroy player Doug Nicholls and comprised Aboriginal footballers from NSW and Lake Tyers. The match drew a crowd of 10,000. 1945 Northcote vs Aboriginal XVIII - played on the King's Birthday holiday. The Aboriginal XVIII was again captain-coached by Doug Nicholls. The match drew a crowd of 6,000. 1945 Combined Coburg-Williamstown vs Broken Hill FL - Coburg and Williamstown toured Broken Hill in October, playing each other on Oct.20 with Ron Todd kicking 6 goals for Williamstown. The following day a Combined Coburg-Williamstown team defeated the local league with Todd kicking 10 of the combined team's 14 goals (including 8.2 of 8.3 in the first quarter). The local press incorrectly referred to the Combined Coburg-Williamstown team as a VFA representative team. 1946 Northcote vs Aboriginal XVIII - scheduled for the King's Birthday holiday. The Saturday edition of The Argus (14-6-1946) previews the annual game thus: "...it is always made an interesting spectacle by the speed, sure ball handling, and kicking of the Aborigines, many of whom play in bare feet." Nicholls was reported to be leading the team for the third straight year. 1949 Prahran vs North Hobart/TANFL XVIII - over the years some sources have listed Prahran's opponent as North Hobart, other sources have referred to them as a TANFL representative side. Both are technically correct. The match was played as a fundraiser for seriously injured North Hobart veteran Dan Quinn and the team comprised nine players from the various TANFL clubs and nine from North Hobart. 1949 Williamstown tour of Illawarra - Australian football had been played in Illawarra some 20 years before rugby but it died out after the NSWAFA imploded in the late 1800s, allowing the area to become a rugby stronghold. The 1949 season marked the return of the Australian game to the region and the newly-formed Illawarra FC, with the assistance of the NSWAFL and the ANFC, invited VFA Premiers Williamstown to visit and participate in a football carnival to promote the game. The plan was for a Combined Illawarra-Williamstown XVIII to play Newtown FC (NSWAFL premiers) on Saturday followed by a match between a Combined Illawarra-NSWAFL XVIII and Williamstown on the Sunday. Several members of the Williamstown team departed Melbourne a day early to participate in the first match but their efforts were for nought. Much to the disgust of the organisers, Newtown waited until the morning of the match to advise the local league they would not be attending. They advised that a club delegate had reportedly failed to tell the club secretary of the trip until Wednesday and by then it was too late to organise and send the team. 1953 Oakleigh vs Port Melbourne - the VFA had been elevated to full member status in the ANFC and football's governing body was keen to include the Association in the game's expansion. To help promote the code and raise awareness of the VFA it was suggested that a premiership match should be played in Wagga. The Association agreed and the Oakleigh-Port Melbourne game became the only VFA premiership match ever played outside of Victoria. 1958 Oakleigh vs Eastern Suburbs - played the week after Eastern Suburbs won the NSWANFL Grand Final. Oakleigh finished 13th that season. 1978 Geelong West vs Woodville - former Collingwood star Peter McKenna kicked 5 goals for Geelong West. He later kicked 67 goals in premiership matches before transferring to Port Melbourne in 1979.